[While] the interactive nature of games means that they will inevitably require more decision-making than passive forms like television or film ... there are degrees of passivity. Some narratives force you to do work to make sense of them, while others just let you settle into the couch and zone out. Part of that cognitive work comes from following multiple threads, keeping densely interwoven plotlines distinct in your head as you watch ... like those video games that force you to learn the rules while playing, part of the pleasure in these modern television narratives comes from the cognitive labor you're forced to do filling in the details. Johnson continues his argument by outlining numerous cases of television shows that have incorporated more playful or problem-solving elements: the multitasking skills necessary to follow a plot line of The Sopranos, the mysterious elements of The West Wing and ER left for the viewer to find out or the strategy elements of reality television. While some television producers have opted to tap into the playful nature of human beings by incorporating more game-like elements into their stories, others have found ways to directly incorporate play elements from other media forms into their television worlds. One of the more visible examples of this, the talent competition American Idol extends across both television and cell phone. After each broadcast, viewers are given a two hour window in which they can call-in or text message their votes for the best contestant. At the beginning of the next episode, the two contestants with the fewest votes are eliminated. Some film critics complained about the degree to which Niobe’s character displaces Morpheus from the center of The Matrix Revolutions, as if a minor character was upstaging a well established protagonist. 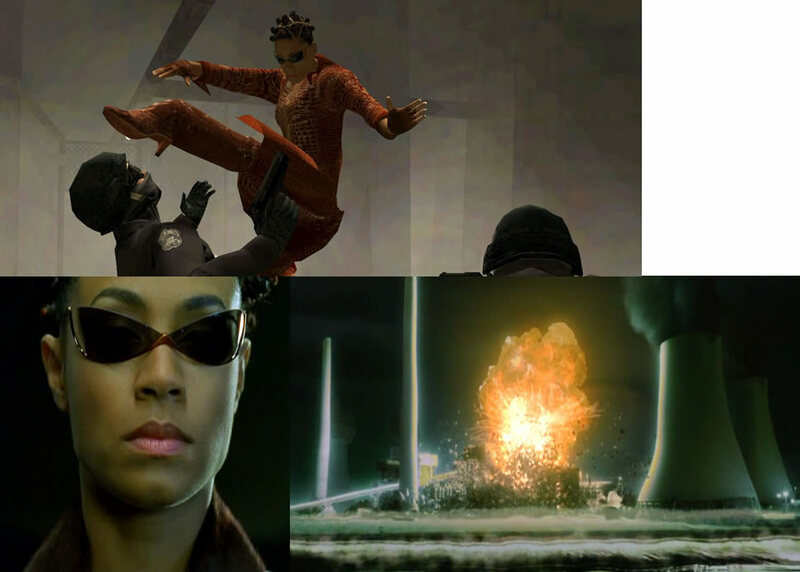 Yet, how we felt about Niobe would depend on whether we had played Enter the Matrix. 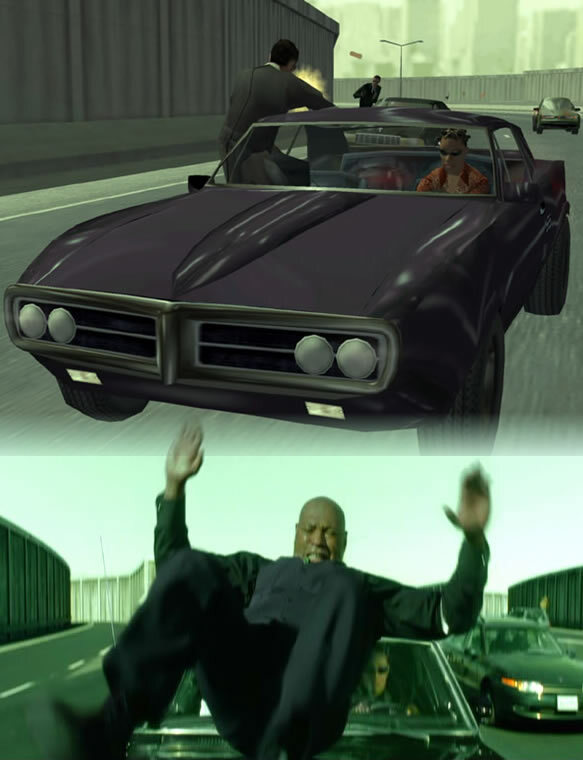 Someone who had played the games would have spent, perhaps, a hundred hours controlling Niobe’s character compared to less than four hours watching Morpheus; struggling to keep the character alive and to complete the missions would have resulted in an intense bond that would not be experienced by viewers who only saw her on screen for a handful of scenes.